Nubbia Gamez with a plate of Aji de Gallina. 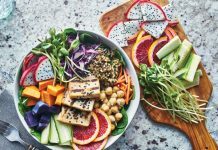 Peru is the land of the ancient Incans, shamans, Machu Pichu — one of the Seven Wonders of the World — and exceptional food. The country boasts coastal and craggy mountainous regions, cities, deserts and thick humid jungles. The cuisine of Peru is as varied and unique as its environments and the cultures of the people who inhabit them. The Pisco Sour is Peru’s official drink made with brandy, sugar, water, lemons, egg whites and ice. 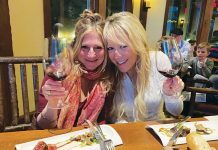 My latest food exploit explores some traditional Peruvian dishes with Nubbia Gamez, bar manager and cocktail mixologist at The Grille at Sawtooth Ridge at Northstar California. I met Nubbia mixing cocktails for the Ritz-Carlton Lake Tahoe’s Art of Mixology Class a few months ago. 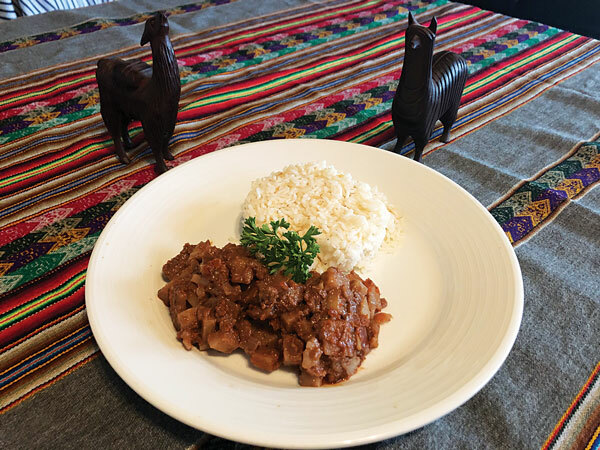 Nubbia invited me to her home that she shares with husband Ron and 5-year-old daughter Isabella to learn how to make some of her favorite Peruvian meals. The aroma in the kitchen is rich with the sharp scent of chopped onions, chicken cooking on the stove and the sweet fragrance of fresh baked butter cookies. Nubbia’s best friend Natalia Duda is crying as she chops red onions. The women banter about food and cooking techniques as the sound of the knife thumps on the wooden cutting board. Natalia hails from Poland. She learned the art of Polish cooking from her mother; she loves eating Nubbia’s Peruvian cuisine. Nubbia’s mother is Cuban and her father is from Qatar; she was born and raised in Peru. “I am not genetically Peruvian, but I am culturally Peruvian. There are three main regions in Peru the coast, mountain and jungle and 25 regions similar to our states. 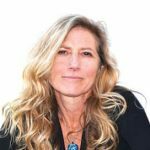 I am from the coast and the two dishes we are making today are from the coast,” she explains. A plate of the Peruvian pork dish Carapulcra. She is expecting 50 people for her husband’s birthday party. 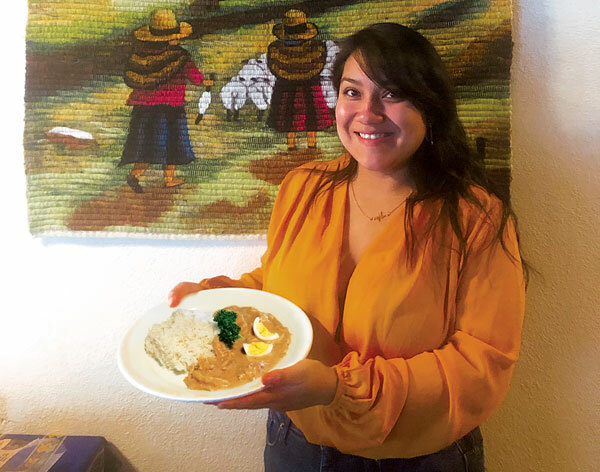 The menu she is preparing includes Aji de Gallina, a creamy poultry dish prepared with a Peruvian yellow chili paste, and Carapulcra, a shredded pork dish prepared with a Peruvian red chili paste, peanut butter and a Hershey chocolate bar and served with diced potatoes. Neither dish is spicy per se but will be seasoned with Peruvian spices. Nubbia starts with the Aji de Gallina. The creamy dish is served on boiled potatoes and a side of rice. There are 3,000 different varieties of potatoes in Peru. She is calm and confident in her kitchen in the face of 50 people showing up in a matter of hours as she begins ripping up a loaf of French bread and tossing it into a large bowl. She adds milk and chicken stock and soaks the bread that will serve as a base for the dish. Natalia shreds the chicken while Nubbia begins the sofrito, a key ingredient to both dishes. Sofrito, chili paste with diced potatoes. She sautés the onions in vegetable oil until they are transparent and then adds garlic, salt and pepper. While the sofrito sautés, Nubbia blends the bread mixture that has been soaking with walnuts and sets it aside. She adds Aji Amarillo Molida, a yellow chili paste, to the sofrito and cooks it for about 5 minutes until it thickens and then adds the bread sauce to the pot and cooks for another 10 minutes. She pours in the shredded chicken, spices and tops with some Parmesan cheese. I dip my spoon in during each step of the way, tasting as we go. The thick stew-like mixture takes on a yellowish hue. It is very tasty; comfort food for sure. Nubbia garnishes the dish with chopped, hard-boiled egg and fresh parsley. Next, she begins to prepare the Carapulcra. She adds diced tomatoes to the sofrito, adds Aji Panca Molido, a red chili paste and stirs until it thickens. 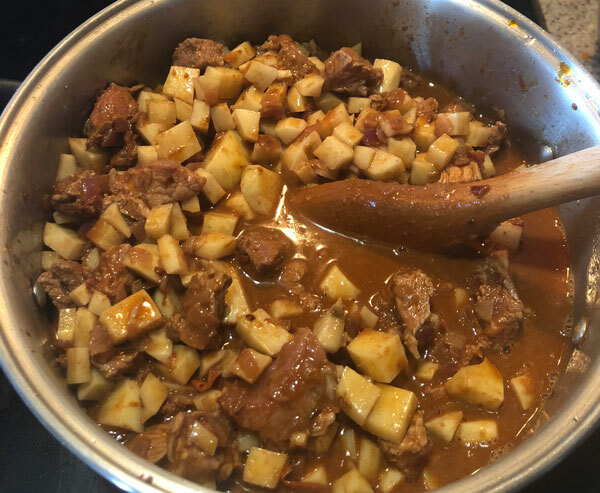 She spoons in peanut butter breaks up a Hershey chocolate bar, pours in some cream and then adds the cubed pork and diced potatoes and cooks it into the sauce. In Peru, they don’t have peanut butter. They use chopped peanuts blended with oil. She also adds a bottle of red wine. This dish takes an hour to simmer and cook. While that is cooking, she finishes the dessert called Alfajores, a butter cookie sandwich filled with dulce la leche and topped with powdered sugar. It is a delicious treat; the combination of caramel between the flaky buttery cookies melted in my mouth. 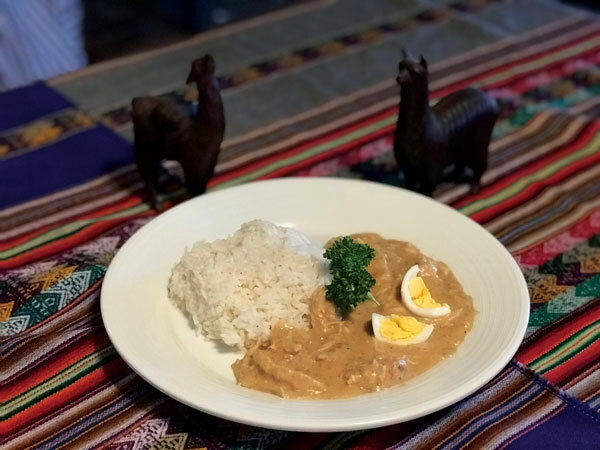 A plate of Aji de Gallina. Place 4 cups of water and chicken breast in a stock pot and bring to a boil until chicken is cooked. Remove chicken and let cool. Reserve stock. Shred chicken into a bowl and set aside. Tear French bread into 1½- to 2-inch pieces and place in large bowl. Add milk and chicken stock. Mix well and let bread soak. Add mixture into a blender with walnuts and blend well. Set aside. In large pot heat oil, add diced onions and sauté until translucent. Add garlic and salt and cook for 5 minutes. Add Aji Amarillo Molida paste* and stir until sofrito thickens for about another 5 minutes. Add bread sauce mixture and cook for 10 minutes. Add shredded chicken and spices and Parmesan cheese. Add more milk and stock until you get the desired consistency and salt to taste. Serve over boiled potatoes or rice and garnish with chopped egg and parsley. *A substitute for the Aji Amarillo Molida is blend 1 yellow bell pepper, 1 orange bell pepper and 1 habanero orange chili with a little bit of canola oil.